Beep! Beep! Beep! Meet Blue. A muddy country road is no match for this little pick up--that is, until he gets stuck while pushing a dump truck out of the muck. Luckily, Blue has made a pack of farm animal friends along his route. And they're willing to do whatever it takes to get their pal back on the road. 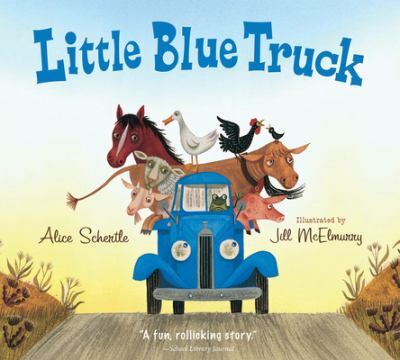 With a text full of truck sounds and animals noises to read aloud, here is a rollicking homage to the power of friendship and the rewards of helping others. Includes a downloadable party kit for even more fun! New (635 available) BRAND NEW. Over 1.5 million happy customers. 100% money-back guarantee. Make your purchase count: support Better World Books' worldwide literacy partners.